It is 1964, the last year of the author’s life. 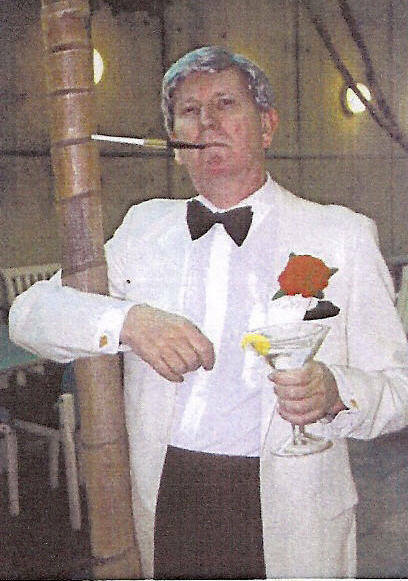 On a final visit to his beloved United States, Ian Lancaster Fleming – embittered second son, athlete, bon viveur, womanizer, failed journalist, unsuccessful banker, wartime intelligence officer, and finally best-selling novelist – is promoting the upcoming third Bond movie, Goldfinger. He reviews his eventful life – or rather lives: a drop-out at both Eton College and the Royal Military Academy, Sandhurst, his ‘salvation’ with private tutors in Austria, his early adventures in pre-war Stalin’s Russia, his wartime exploits under the original of ‘M’, his first visits to America and meetings with J. Edgar Hoover and ‘Wild Bill’ Donovan, his minor but memorable role in the establishment of the CIA, his love of Jamaica and the creation of his home ‘Goldeneye’, his marriage that led directly to the writing of Casino Royale and indirectly to the penning of Chitty-Chitty-Bang-Bang, and finally the creation of the fabulous James Bond franchise.